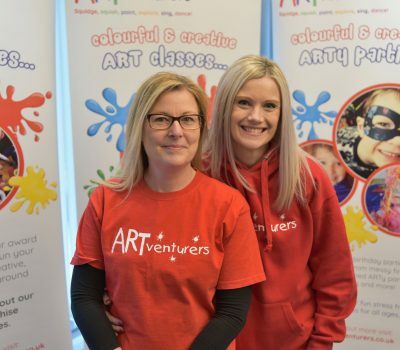 We’re Sarah and Michelle, and excited to bring Artventurers to York and the surrounding area. 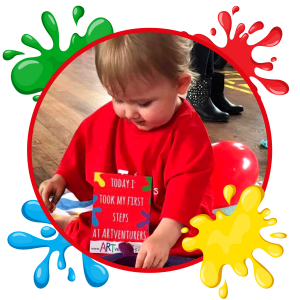 Sarah is a mum of two and Michelle is a mum of three, and her youngest is often found throwing herself in the messy trays of jelly, custard and gloop, painting her feet and socialising during our classes. So leave the messy paints and glitter, the glue and splatter, the squidge and the spills for us to clear away; come and join us in having fun with your little ones. We can’t wait to see you! 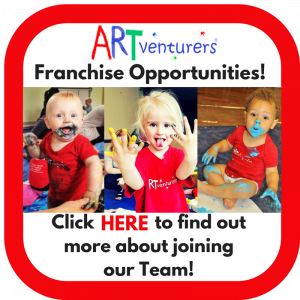 Come along and join in the fun at Artventurers York! We run colourful, creative (often messy!) art, craft and creative play sessions for babies, toddlers and children during the week in York as well as holiday classes and workshops, fantastic creative birthday parties, after school clubs and other events for children of all ages! We LOVE Monday’s – true story! Copyright © 2019 ARTventurers York. All rights reserved.